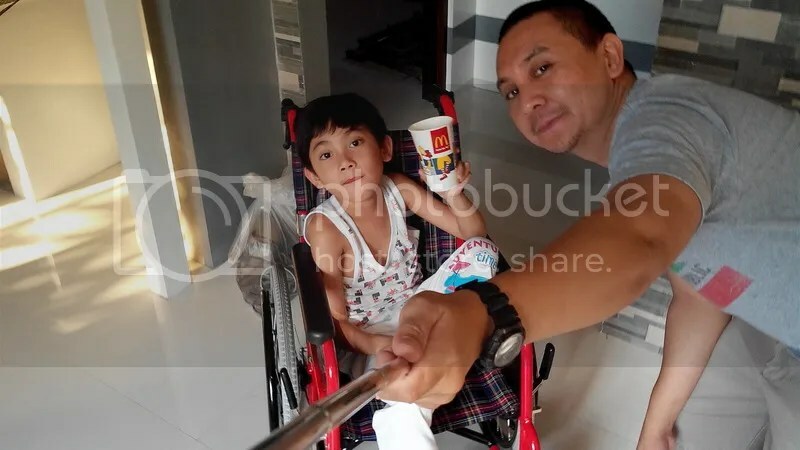 “Daddy, do you love me?” While at the Shell SLEX station just last Sunday, Marcus, whom I was carrying as usual held my head with both his hands and asked me the question. That was the first time I heard him ask it. I can see his smile just inches away from my face but I sensed he needs an immediate answer. Of course, I said yes, though I hesitated as I was not expecting it while occupied with the thought of where to give him dinner, either in KFC or Chowking. He shot the question to his mother that same night and has been asking us the question every now and then. He also has other questions that he has kept asking and that we have tried our best explaining. “Why do I have DMD?” “Does God love me?” “Am I going to get well soon?” “When I am 40 would I be still in a wheelchair?” Kids do say the darndest things but they do ask simple questions that are hard to answer. The challenge in answering questions of the young minds is in making them understand. Just like in one of the classes I attended, the trainer posed the challenge, “Explain the process like you would to a kid.” Question like “Does God love me?” could be easier to answer to an adult as they would (take not of the conditionals) normally reconcile the answers from things they’ve read and past advices they have heard. Normally, one would only need an affirmation. But kids with such fresh minds plus their innocence would have different ideals. The magic and powers they see in their favorite Superheroes make it more difficult to put things in perspective. This morning, I read on Facebook that there is a book titled Dear Pope Francis where the Pope answers questions of kids he has received. I would love to get a copy of this book and I hope someone has asked similar questions that Marcus has. “St Francis of Assisi!” It was the first name I remembered and answered when, almost eight years ago, during our son’s baptism the priest asked us on the spot who would be that one saint whose life we would like our child to follow. A saint whose name is associated with humility and the poor, St. Francis’ life is one of those inspiring stories I have read and heard both growing up with a pious mother and while taking my elementary and high school education in two Catholic schools. While I cannot recall now most of the details of St. Francis’ history he will remain to be among the ones that will immediately come up if I would be asked to name a great saint. It was not surprising therefore to see the warm welcome the Filipinos gave when Pope Francis, the current head of the Catholic church, arrived in the Philippines on January 15, 2015. A man who days after he started to take his seat in Rome in 2013 soon became so loved and respected around the world as news spread fast about his charismatic character and exemplary leadership. He is a Pope who does not only declare that he is for the poor but he also lives the life of simplicity as reflected in his actions and policies. Pope Francis radiates so much good energy that it is easy to get emotional merely knowing he has arrived. Frankly, last Wednesday I had to compose myself behind the wheel on my way to work when I realized that my eyes are tearing up as I listen to the news on the radio that the Pope has finally stepped out of the Sri Lankan plane. I am quite sure I was among the millions who felt the same thing. 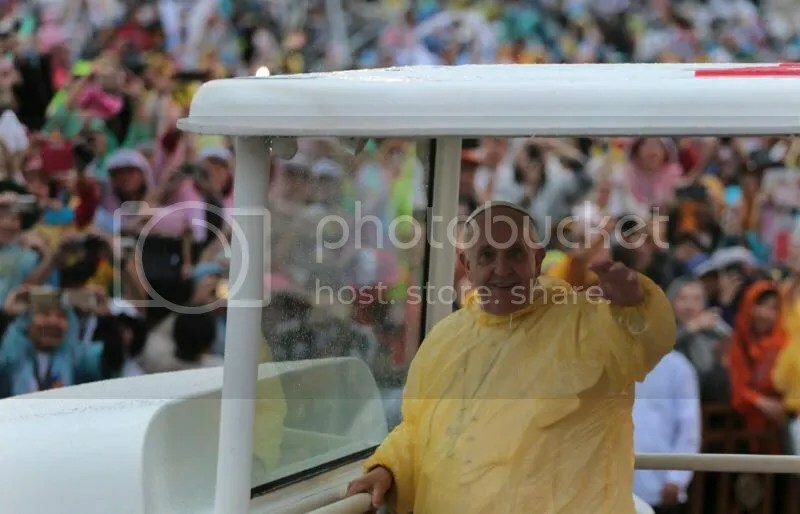 Today is Pope Francis’ last day in the Philippines but definitely many people will remember the time when a 78-year old holy man braved the country’s unpredictable weather just so he can make his presence felt by as much people he can. He spent four hectic days touching the lives and bringing hope to the Filipinos, near or far, often disregarding his convenience, security, itinerary. Such a good man. 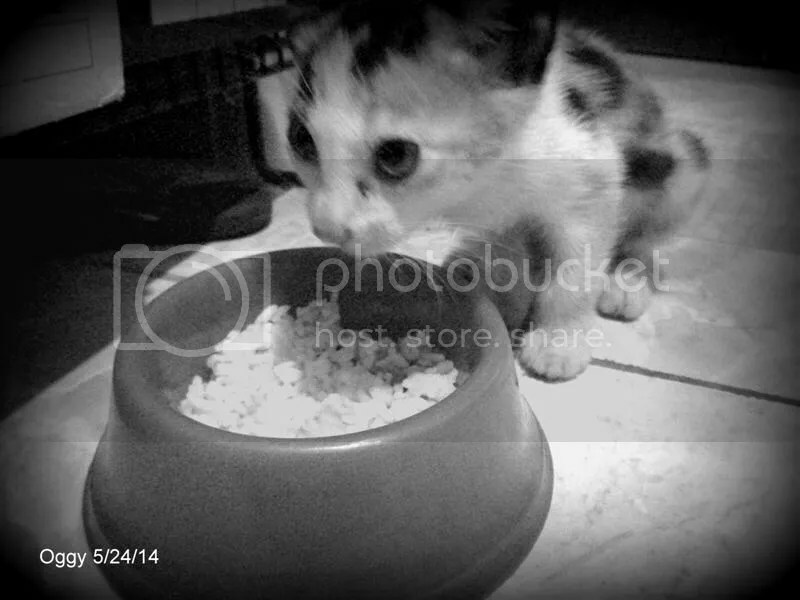 I bet that the right time will come when sooner or later we will get to know another St. Francis. God bless you Pope Francis. Bon voyage, mabuhay ka! The white smoke from the most-watched chimney in Rome came out a lot sooner than most of us have anticipated and the BBC breaking news confirmed my gut-feel. Someone has been chosen but he is not our own Cardinal Tagle. I watched the TV disappointed like most Filipinos. “Now what? Next controversial news please,” I was saying deep inside as I return to my station after grabbing a cup of free coffee from our pantry’s vendo. “We can now move on,” I conceded with the thought that this hype about the papal election is now over and to be forgotten. More news about the new pope eventually spread and it caught my attention. Along with billions of Catholics and the rest of world, I soon learned that the newly elected pope is the first ever Jesuit and the first one from Latin America who will assume the highest seat in the Catholic Church. He will also be known as Pope Francis I in reference to one of the very few saints I can recall in a jiffy—St. Francis of Assisi. Though I cannot remember every detail of St. Francis of Assisi’s life as told years ago by my mother, and religion teachers, its essence that despite being privileged he has chosen to be poor, to serve the poor remained in my memory. It made me a silent fan. In fact, the story of St. Francis of Assisi has stuck in my mind that his name was the only one that immediately came out during our son’s christening ceremony. “Give me a name of the saint whose footsteps you would like your child to follow,” the priest asked. “Saint Francis of Assisi,” I answered without hesitation. If I remember it right, that was the last time I heard about him and our son is now more likely following the path of cartoon characters—lately he asserts that he is Ben 10 and every now and then my wife and I believe that he is one of the monsters. But five years later I didn’t expect that I will hear the word Assisi again. And what the Argentinean pope has told during his first press conference have been inspiring so far, just as inspiring when I first heard about St. Francis of Assisi’s meekness and compassion more than 30 years ago. So even if I am probably among the least vocal about religion I just might keep track about what will happen in the next days to come. The best of luck to our new pope.